Another fun event that we enjoy attending is Lobsters on the Sound over at Hinkley in Southwest Harbor. It’s a casual lobster bake that starts with cocktails and hors d’oeuvres from 5:30-7:30 along with a silent auction. Then the fun really begins at 7:30 when the lobster bake (and other yummy crustaceans) begin right before the live auction and dancing. It’s a fun time that supports the Harbor House, which is Southwest Harbor’s community center. 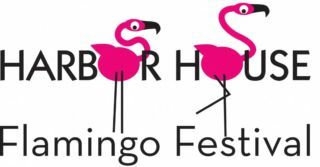 One of the craziest festivals we have on the island is the Southwest Harbor Flamingo Festival, sponsored by the Harbor House. Flamingos on MDI? Come on! Well, no, we don’t have any native flamingos waltzing around, but there is a lot of pink! 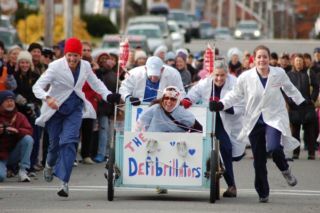 This is one of the best family-friendly events all summer long, and events include a lobster dinner, pancake breakfast, fun run, and of course the parade! So bring your best pink clothes, maybe your favorite flamingo lawn ornament (we know you have one), and head over the Southwest Harbor for one fantastic time. The event runs July 13-18, so it lasts several days. It also helps to benefit the Harbor House, which is Southwest Harbor’s community center and offers a lot of services and events to the community year-round. One of our favorite summer traditions is the Somesville Strawberry Festival. 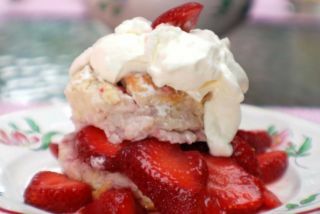 Now in it’s 43rd year, the festival offers fresh strawberries to buy, but that’s not what most people go for: They go for the homemade strawberry shortcake (believe me, it’s good!). This is one of the most popular events of the summer season, and not just for tourist but for locals, too. The festival benefits the MDI Historical Society, which is based out of Somesville and studies, as you might have guessed, the history of the island. But not only that, the Society is active in preserving artifacts and certain historical aspects through the History Trust. It’s a good cause because the island has gone through several cultural revolutions from being dominated by Native Americans to shipbuilders (both French and British) to it’s gilded era to today’s mix of local, park, and tourism offerings. The festival is July 10 from 1pm to 3pm at the Somesville Firehouse.